Each year, eight million Canadians are caring for a friend or loved one who is ill or disabled. Nearly half of those are caring for a parent or an in-law. Managing the daily needs of an elderly or infirm family member is an extremely challenging job. Yet, it can be vastly rewarding to help a loved one age with grace and dignity. Few expect to be thrust into the role of primary caregiver. So, most family caregivers are unprepared for the myriad of responsibilities and the time commitment required when doing case management for a loved one. Siblings or family members, who are not actively involved in the day-to-day care and case management of a loved one, don’t realize the intense level of time and effort required. Without adequate support, the primary family caregiver can become physically, mentally and emotionally exhausted. Resentment may also surface between family members. An overview of the numerous tasks required for the successful case management of your loved one’s health and daily living can help your family fully comprehend the role of the primary family caregiver. If you are serving as primary family caregiver, the following will give you a better understanding of what is required. If you are not the primary family caregiver, put yourself in his or her role as we review the duties known as case management amongst home care specialists. This information can equip your family to make an informed decision about whether case management is best handled by a single individual, a team of family members or a professional health care worker or agency. As the primary family caregiver, you are charged with monitoring the health of your loved one. This requires more than inquiring about his or her health. An effective case manager must be knowledgeable about the care recipient’s health condition. This requires consulting with your loved one’s healthcare professionals. Extensive reading and attending workshops may also be necessary. The primary family caregiver must learn what to expect and how to handle issues common to your loved one’s diagnosis. It requires being observant to changes in your loved one’s physical or mental state, and asking specific questions related to his or her health issues, even if asking those questions proves uncomfortable for both parties. The primary family caregiver transports the care recipient on errands and to and from medical appointments. The frequency of health care appointments increases as the care recipient’s health deteriorates. This means repeated adjustments to the work schedule of the primary caregiver, which can be problematic. 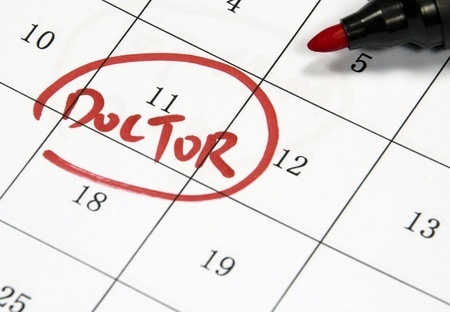 A thirty-minute doctor appointment can easily turn into an endeavor that takes several hours. The doctor may order additional tests or prescribe medicine which must be picked up from the local pharmacy. The family caregiver must clarify instructions regarding medications and at-home care and keep careful records of this information for future reference. As the family member charged with case management must serve as an advocate for your loved one by taking an active role in communications with doctors and other health care professionals. This may seem intimidating, but it is essential to your loved one’s health and well-being. If you are serving as the primary family caregiver for your loved one, don’t be afraid to speak up. Your observations are crucial. No other member of the care recipient’s healthcare team knows him or her as well as you. Just as you are charged with monitoring the physical health of your loved one, mental health must also be tracked. A decline in memory and mental acuity can come on slowly. A care recipient might have certain days, or times of day, of great clarity. At other times, he or she might become easily confused or disoriented. The family caregiver must take note of any degeneration in your loved one’s ability to remember essential facts or recognize familiar people or things and communicate this information to the primary care physician and other appropriate health professionals. The family caregiver may also be forced to deal with the care recipient’s mood swings. This can be mentally and emotionally draining. It may become increasingly difficult for the care recipient to manage his or her own finances. Ask pointed questions about the management of your loved one’s money. Accounts must be current and properly maintained. It can be distressing for both parties when an adult child inquires about the details of his or her parent’s finances. Still, it’s essential to talk candidly with your loved one about his or her finances early on, particularly in the case of debilitating conditions like Alzheimer’s or dementia. To spark the discussion on end-of-life financial planning, consider reviewing this guide published by the Canadian Institute of Chartered Accountants. The family caregiver’s ability to direct legal and financial matters is dependent upon obtaining a continuing power of attorney for property, which legally enforces him or her to do so. A power of attorney for care allows the caregiver to make decisions regarding the care recipient’s health care and living arrangements. Have a straightforward discussion with the care recipient about why a power of attorney is necessary. Additionally, the family caregiver should ensure that the care recipient’s legal documents, such as a will or living will, are up-to-date. Contact a Public Guardian and Trustee office in Ontario to obtain a Power of Attorney Kit, or download a copy here. Managing the finances and legal matters of a loved one can be a complex, painstaking responsibility. However, it is an essential part of caring for the needs of your loved one. Making beds, cleaning the kitchen and bathrooms or cooking a healthy meal can be grueling tasks for an elderly loved one whose physical or mental health is failing. The care recipient may suffer in silence, too embarrassed to ask for help. Family caregivers frequently provide personal care assistance for loved ones. However, with an already busy schedule, it may be difficult for family members to find the time to provide home and personal care. Another option is to hire a qualified personal support worker to handle these critical tasks. When managing the health of a loved one becomes too challenging, many families choose to enlist support from professional caregivers and/or personal support workers. The decision to bring in outside assistance can be difficult for the family and the care recipient. Is the person qualified and trustworthy? Will your loved one get along with him or her? While help may be readily available via free online job boards, such mediums offer no screening or assurance of the person’s qualifications or credibility. Hiring someone in this manner increases the burden on the family caregiver, who must register as an employer and handle all of the legal requirements, as such, in order to keep the arrangement above board. Hiring a reputable agency that is experienced in providing in-home health care and personal support will help. Your family will feel at ease knowing that your loved one is receiving care from a screened, qualified and professional caregiver. According to Portrait of Caregivers, 2012, based upon information gathered in the most recent General Social Survey, most primary family caregivers spend an average of four hours each week caring for the needs of an aging parent. However, when the care recipient suffers with cancer, dementia or arthritis, the caregiver is more likely to spend ten or more hours caring for a loved one each week. They make the time to do this in addition to career and family obligations. In fact, caring for a loved one frequently supersedes other obligations. This may result in time missed at work or leave the caregiver’s spouse or children feeling neglected. Caregivers often have little time to devote to self-care, which can have a negative impact on their health. For this reason, it is vital that families develop a circle of care to support the family caregiver. This circle of care may include other family members, friends and dedicated healthcare professionals or personal support workers. Being a family caregiver for a loved one is a tough, but rewarding, job. It’s easy to see why the family member in charge of case management might begin to feel overwhelmed. Never underestimate the toll case management can take on the health, finances and family life of the family caregiver. According to a BMO survey conducted in 2012, seventy percent of caregivers also provide financial assistance to their aging parents. Practical and monetary assistance ensures that all matters are handled in the best interest of your loved one, without burning out the primary family caregiver. This usually requires arranging periodic respite care by enlisting the assistance of other family members, an adult day care service, or an in-home health care agency.